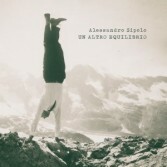 Alessandro Sipolo is a singer-songwriter born in the province of Brescia in 1986. His musical activity started in 2013 when, after a year of work and travel between Chile, Bolivia, Argentina and Peru, he returned to Italy and published his first album "Eppur it is necessary to go ", produced by Giorgio Cordini, historical guitarist of Fabrizio De André. The album, concept album on the theme of "resistance" and prosecution at the time of the crisis, won the Beppe Gentile 2014 award as best debut album. Later he published "Eresie", highly praised by critics, who won numerous awards, coming to be among the 50 finalists for the Targa Tenco 2016, category "best album". In March 2018 Sipolo participated in ItaliArt and in June of the same year he performed in Paris, in Place d'Italie, for the Semaine Italienne.